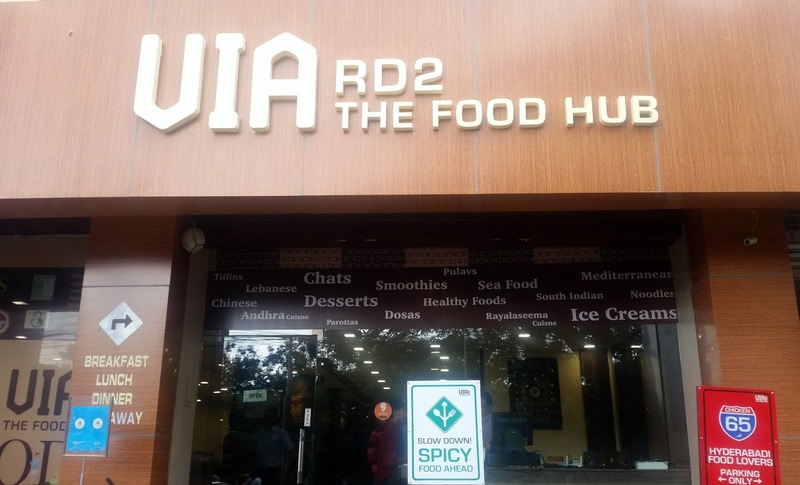 The stretch of road between Jubilee Hills Checkpost and LV Prasad in Banjara Hills is often referred to as the “Ice cream street” by the local food lovers. Opposite KBR Park, a large number of people congregate in the evenings and late nights to enjoy the stone creations at Cream Stone, Hazzel and Oh So Stoned. However, in spite of the popularity, food options were limited in this stretch. No longer now, as Via RD2, a brand new food court has come up just next to Cream Stone, offering diverse menu items for the taste buds. Via RD2, the food hub is currently open from 9 am in the morning to late at night. It plays hosts to eight different food kiosks, each offering a different set of dishes. The place is quite casual and trendy with a common seating area, where you can park yourself and order food from any of the outlets. Invited for a preview of the place, my first stop was Ahobilam Foods. 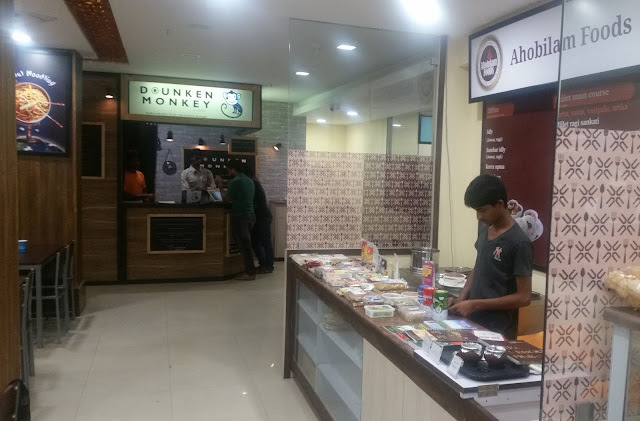 This place specializes in health and organic food, especially those made from Ragi (millet). 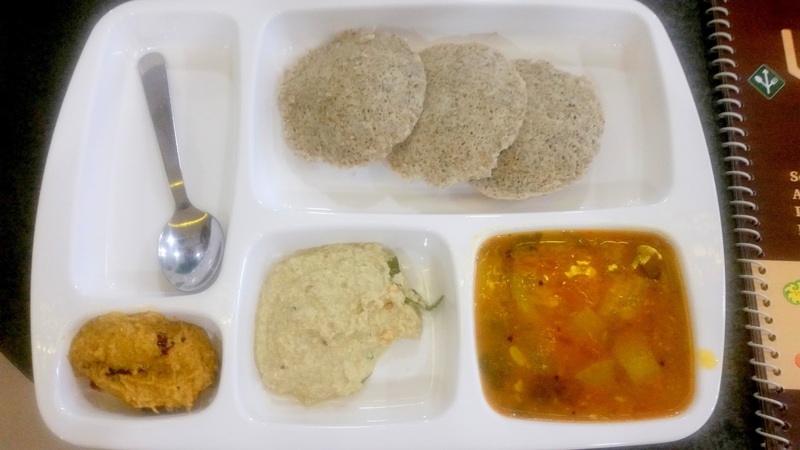 I was served Ragi Idlis with sambar and coconut and ginger chutneys. There is a general perception that health food is not very tasty, but trying the food at Ahobilam may change that feeling. 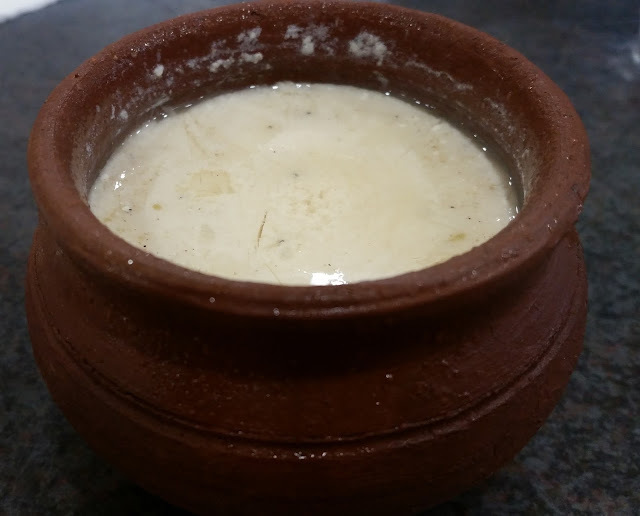 The place also serves some good Junnu (a milk based dessert from this area which is ideally prepared from the first-day milk of cattle). The list of millet-based items at Ahobilam is long. Starting from the well-known Ragi Sangati, it also serves Millet Biryani and Ragi Dosa. 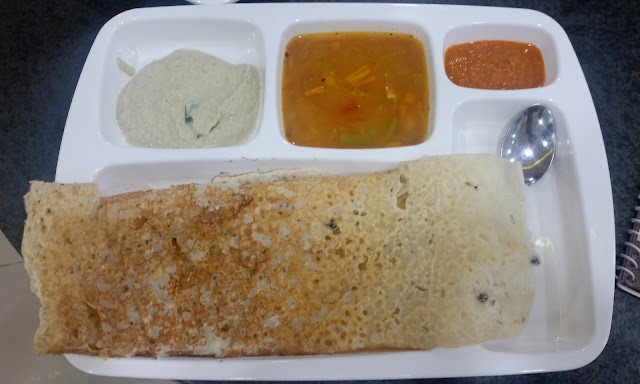 Vengamamba Tiffins, on the other hand serves the traditional South Indian snacks like idli, dosa, vada and pesarattu. It also has a range of rice based dishes like Gobi Rice, Pudina Rice and Tomato Rice. I tried a Rawa Dosa here which was crisp, though the chutney served along with it was bitter, spoiling the taste a bit. To go with the food, you have the smoothies from Drunken Monkey. 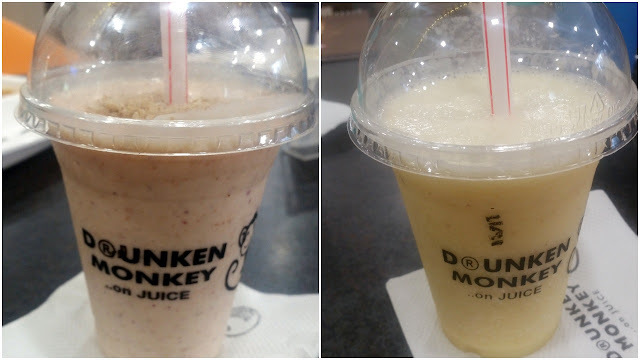 The Monkey Confidential which is a secret recipe of the outlet, was bursting with flavours from different fruits. Mosambi Magic which came later, combined the taste of the citrus fruit with pineapple. The menu here is very interesting, where you have almost unlimited options of different fruits to combine in a smoothie. 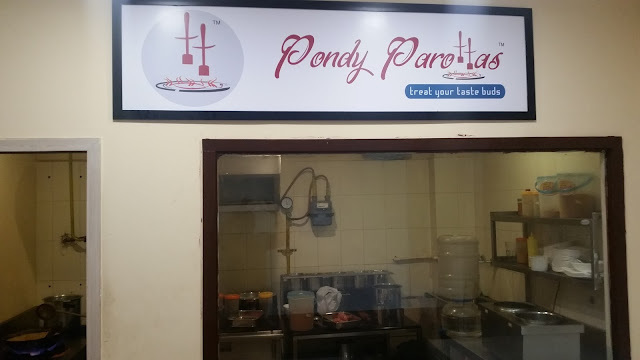 My favorite outlet of the lot was definitely Pondy Parottas. The place has a variety of parathas which are not generally available in Hyderabad. I was served a Mutton Egg Kothu Paratha, where a mash up is prepared from parathas, egg, mutton mince and onions. A very popular snack in Tamil Nadu and Sri Lanka this was served with salan and onion raitha. This is a must have on any visit to the food hub. They also serve Ceylonese as well as Lappa parathas, which I will try out soon. 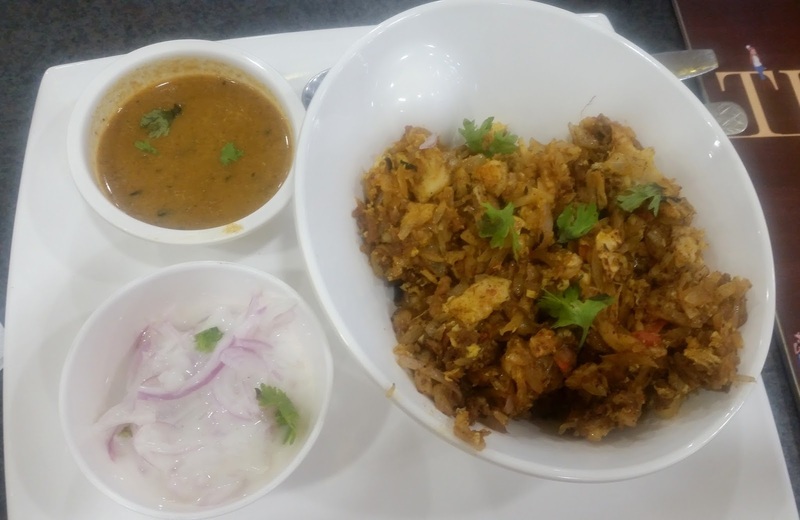 Sardarjis at Gachibowli has made a name for itself for its chats, and the outlet here serves the entire range from Papri Chat, Pao Bhaji, and Chana Bhatura. 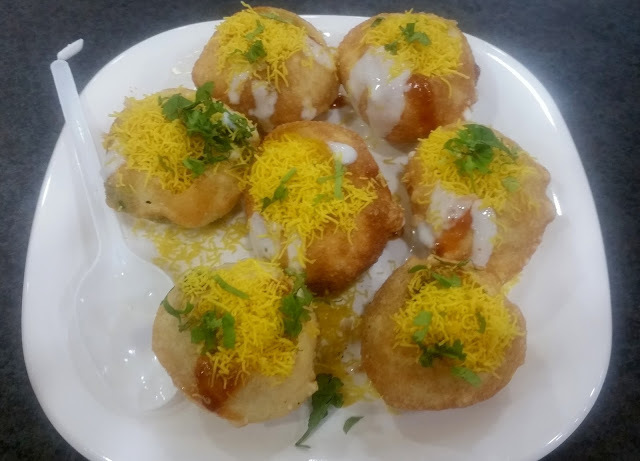 I tried a Dahi Puri here, which was pretty good. No food court is complete without Indo-Chinese or “Chindian” food. Here the stall is called Wok This Way. 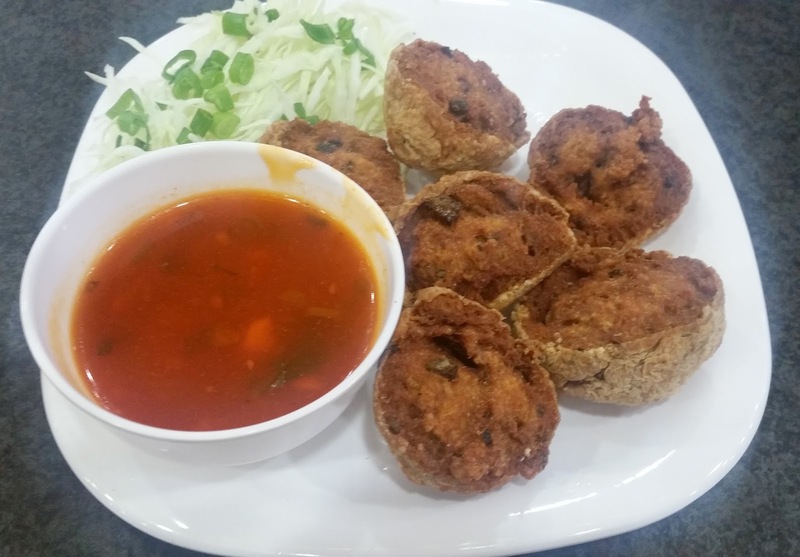 They have a dish called Chicken Pakodas which is quite an innovation – boneless chicken marinated in Chinese sauce is deep fried into Indian pakodas. Served with some tomato garlic dip and sides of veggies, this was an interesting dish. 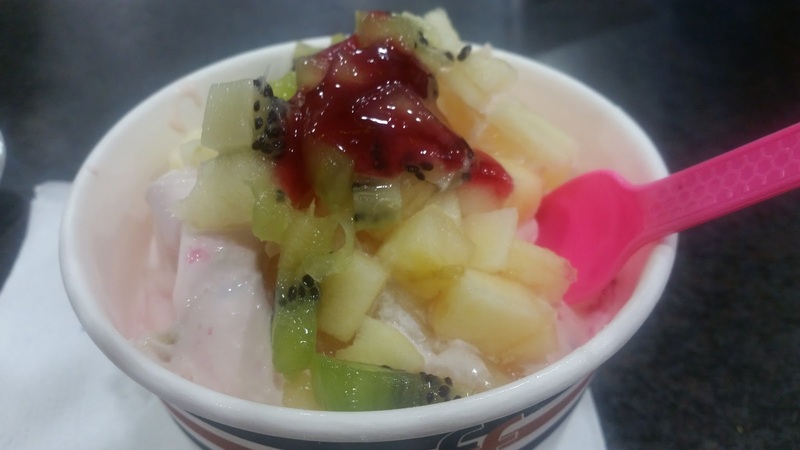 My meal ended with the Exotic Fruit Indulgence which has been my favorite at Hazzel Ice Cream. I wanted to have one of their Awesomely Thick Shakes, but I was too full even to attempt. There are some more outlets coming up at Via RD2. One such place opening shortly will serve falafel sandwiches. A squeaky clean and informal place the food hub is at the right place. The road is a favorite for late night hunger pangs of food lovers, and such a joint serving a humongous range of items from different cuisines will surely be popular.